Here it is, my first tutorial. I hope I will be able to convey my vision in an easy to understand way. If you have any questions do not hesitate to ask in the comments section or by e-mail. 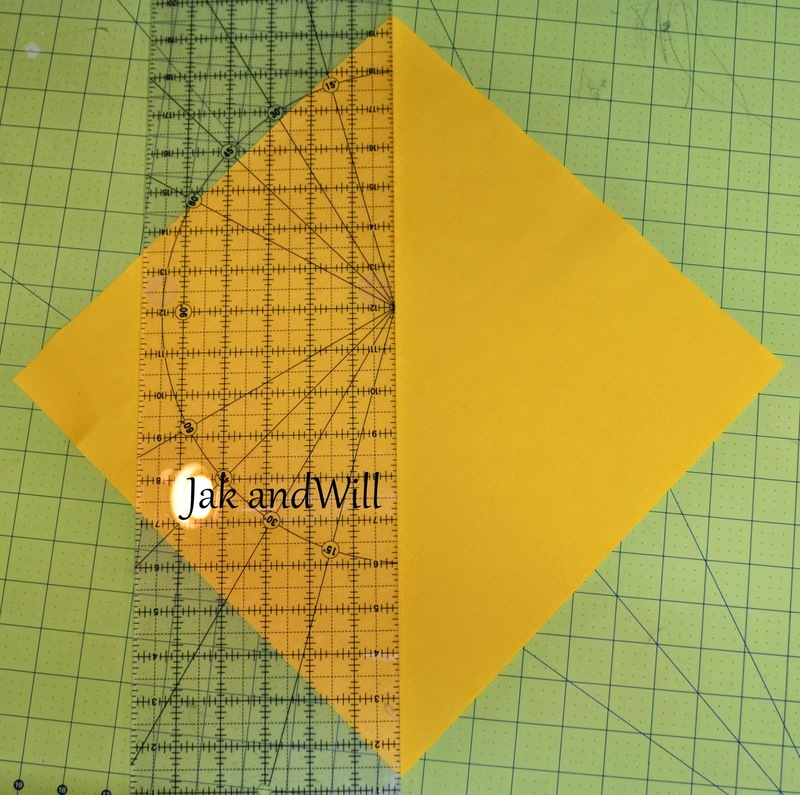 I am a part of a modern quilt guild and I am mostly making this tutorial for my month of the quilt bee, I can't wait to see all of the pieces come together! 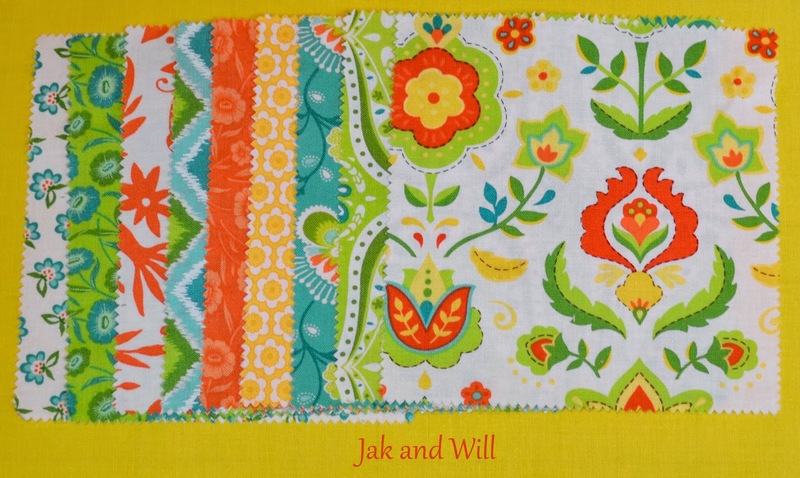 This is what one quilt block looks like. The directions are to make two blocks. First, you will need nine 5 by 5 blocks (charms) and one 12 7/8th square block. The goal is to make a square of 6 blocks by 6 blocks, with each block measuring 2 inches square (finished). You can do this my cutting the charms in four and then piecing them together in a grid. 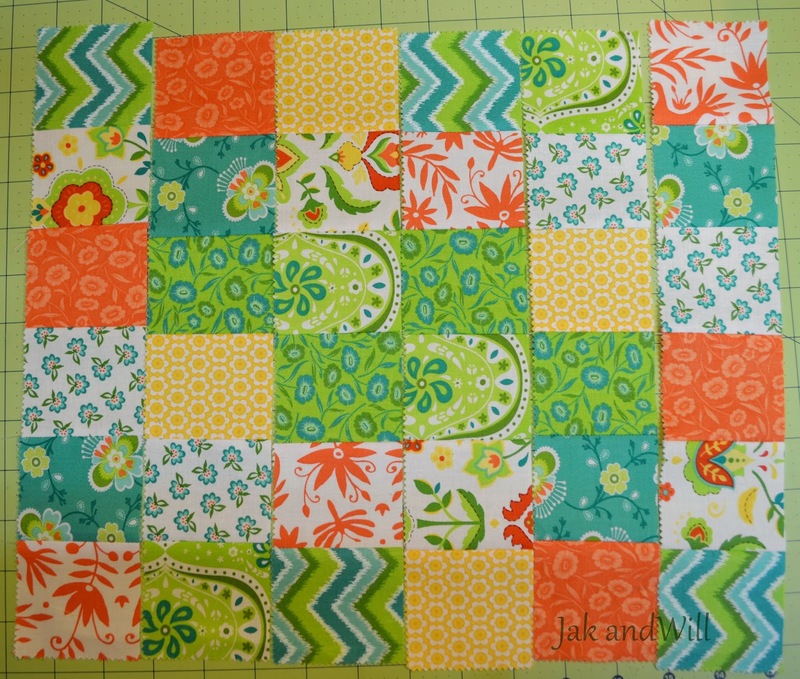 However, since I dislike piecing little blocks and try to keep them straight, I use a different method. Either way should yield similar results, and it's up to you which method you use. Here is the method I use. First, but the charms in half. This will yield 5 inch by 2 1/2 inch rectangles. 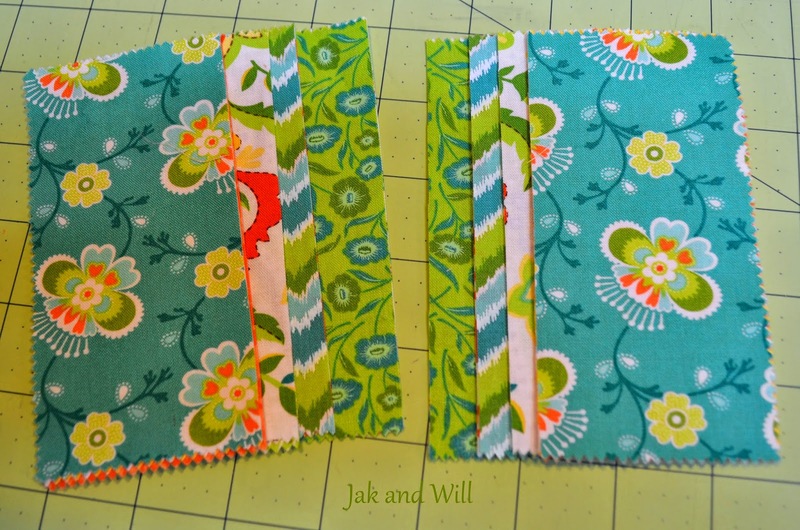 Second, mix the rectangles so no two the same are together and piece them in pairs, sewing on the long edge. Third, press the seams open. 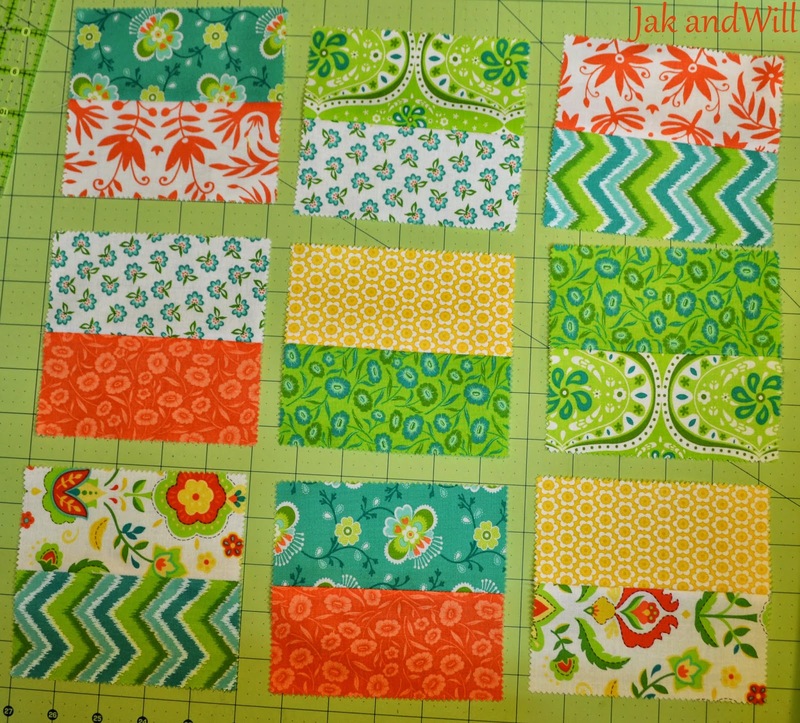 I am not a fan of open seams, however, this will make piecing easier later. After this, you will end up with nine pieces as seen below. Plan them out in three columns as you would like to piece them. making sure that no two of the same are together. 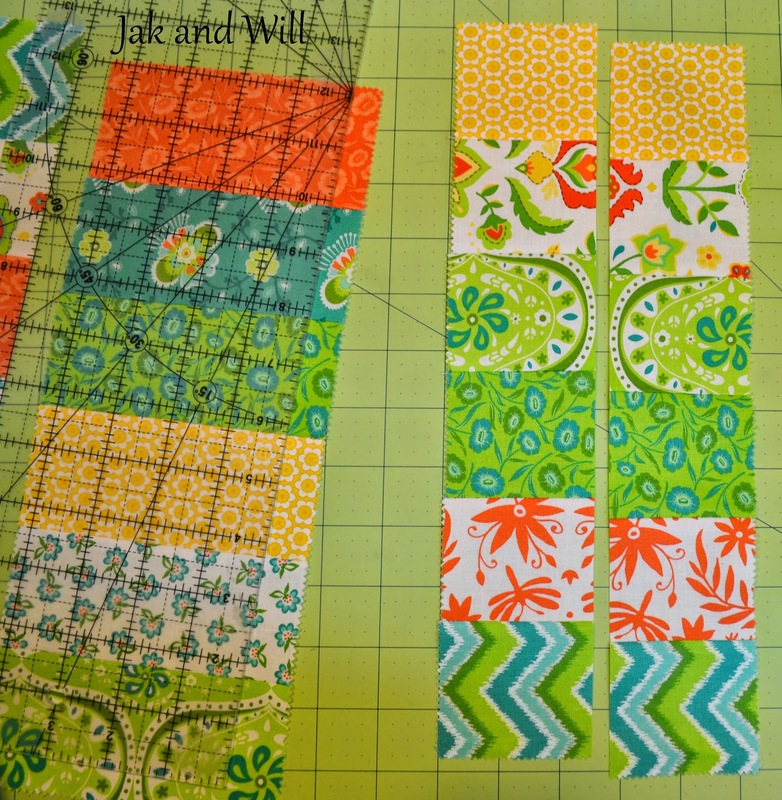 Sew the blocks in columns, then cut them in half. You will then have six rows of six squares. 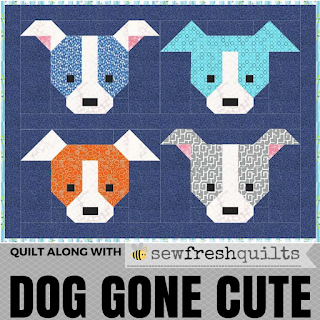 Rearrange the rows and sew them together. Now, you have it, a 6 by 6 grid. 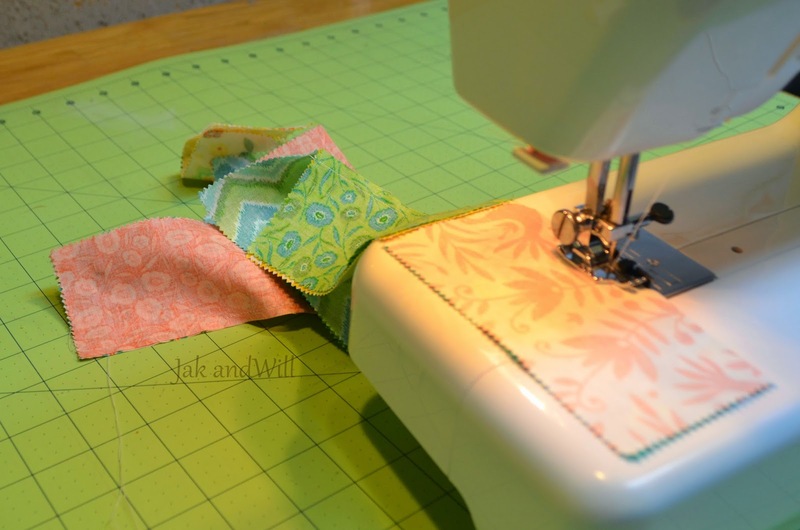 Take your solid fabric and cut it in half diagonally. Do the same with the patchwork piece. 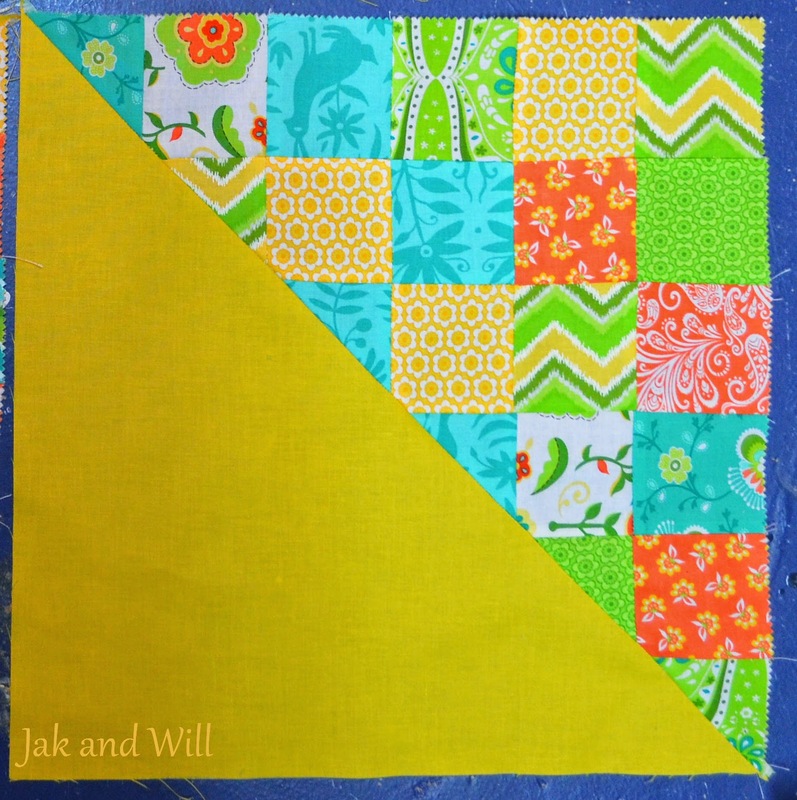 Sew the triangles of one piece or patwork and one piece of solid together to recreate a square. My goal when I get the blocks back will be to set them up as a pinwheel. 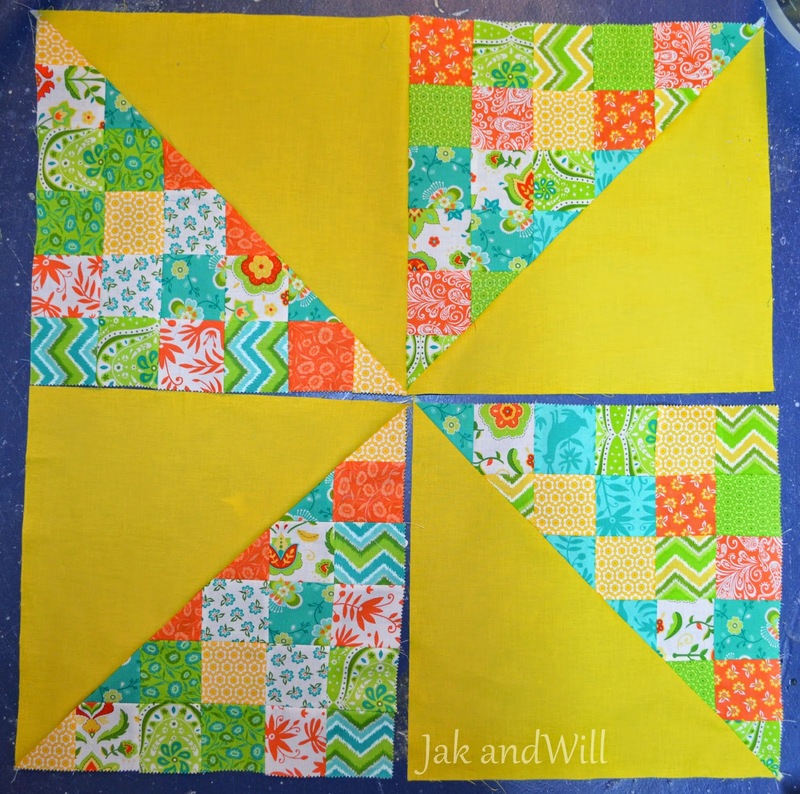 I will have four pinwheels that I plan on sashing for a nice summer lap quilt. I can't wait to show you the finished top, in a month or so from now! What a fun block! I love the scrappy and the solids. Thanks so much for sharing the tutorial, Stephanie. Happy 2015!